In tonight’s Azerbaijani final, one male and two female singers fought for the honour to represent their country in the 2014 Eurovision Song Contest. It was a really exciting show, with musically qualitative performances and nice guests. Dilara convinced an expert jury with her cover versions and got the ticket to Copenhagen! Three entrants who reached tonight’s final of Böyük Səhnə, delivered a fantastic show. Erkin Osmanli started the evening with his cover version Girls, Girls, Girls. He appeared on stage in the cowboy hat and performed very convincingly, chatting with the girls surrounding him. Erkin got from the jury 38 points. Dilara Kazimova sang History Repeating for the public whilst playing in front of the kitchen table on stage. In her performance, Dilara could show her talent as the opera singer, going deep and high with her voice. She got 40 points from the professional jury. Khana Hasanova got a big applause for her first cover Dance Again. She entered the stage in a bright wine-red costume, accompanied by her dancers. Khana got 41 points. In the second round, Dilara and Khana got 46 points for their performances. The jury gave 44 points for Erkin’s second entry. Among the jury there were Eldar Gasimov (the winner of the 2011 Eurovision Song Contest), Tunzale Agayeva (a famous Azerbaijani singer, composer, and honored artist of Azerbaijan), Murad Arif (an Azerbaijani hit maker, composer and producer). Stefan Örn, one of the song writers of When The Music Dies that Sabina Babayeva performed in the 2012 Eurovision Song Contest, was among tonight’s juries. After the first round, Tunzale Agayeva, one of the tonight’s jury, and a famous Azerbaijani singer, entertained the audience with her music. In the second interval, Rustam Karimov, the representative of the 2013 Junior Eurovision Song Contest, came to support the finalists. Eldar Gasimov performed his song The One. Sabina Babayeva, the Azerbaijani representative in the 2012 Eurovision Song Contest, also sang for the public. Dilara is a young, but already established singer with a profound background as a solo artists, and as a member of music bands in Azerbaijan. 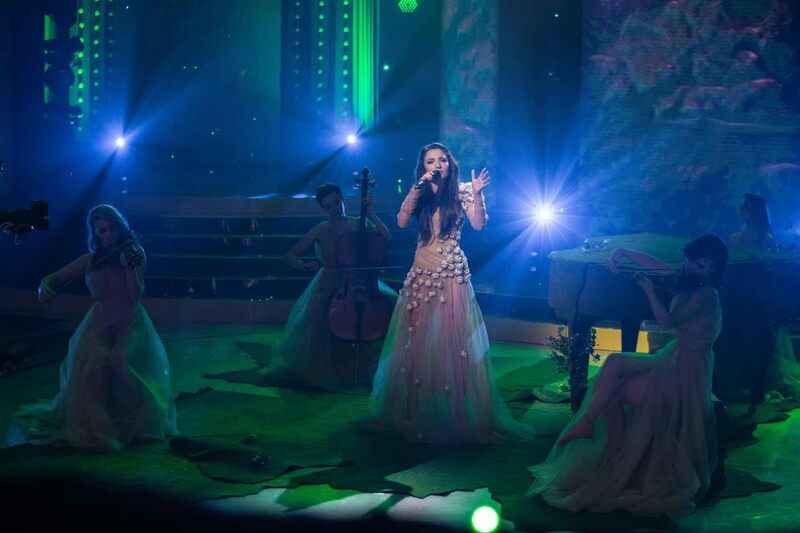 It is the third time already that Dilyara is participating in Azerbaijani national selection for Eurovision Song Contest and two times before she qualified for the national selection. First time she took her chance as a member of bandUnformal in 2008, when Azerbaijan debuted on the Contest. Later, in 2010, she took her second chance in a female duo Milk&Kisses, and again qualified to the final. The same year she went to represent Azerbaijan on another international music festival New Wave in Yurmala, Latvia. 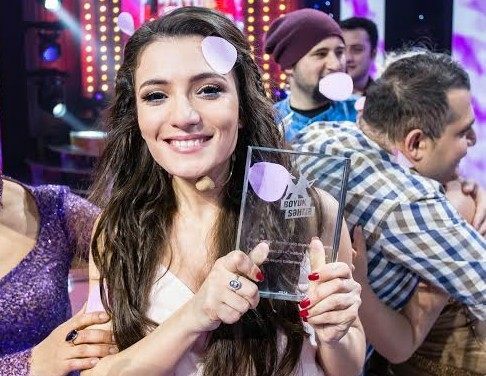 While Dilara was competing for her right to go to the Eurovision 2014 at The Big Stage show, she has passed the “blind audition” and moved in two rounds at Ukrainian version of famous vocal show The Voice that is now produced in Kyiv, Ukraine. Dilara’s Eurovision song will be chosen at ITV by internal selection and will be announced by 15th of March.